There are some no-frills hotels in NYC that provide a basic place to sleep at a budget price. Pod 51 Hotel and Pod 39 Hotel call themselves the new generation of budget hotels in New York City. Rooms are small but well-designed. Both are located in Midtown East. Pod 51 is located on 51st Street between 2nd and 3rd Avenues. Pod 39 is located on 39th Street, between 3rd Avenue and Lexington Avenue. Room rates are around $80 a night. The Jane in the West Village is a popular budget hotel with rooms sometimes available for as little as $75 a night. 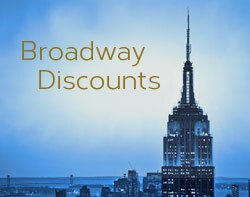 The Chelsea Savoy Hotel provides small, basic accommodations in the Chelsea neighborhood for around $140 a night. Read TimeOut’s article on the best budget hotels and hostels in New York City. 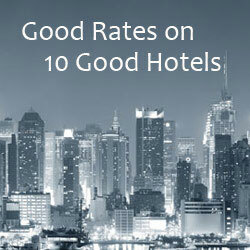 In addition to budget hotels, there are several hostels in New York City. If you don’t mind sharing a bathroom or in some cases sharing dorm-type sleeping quarters, these low-cost lodging options can really cut your New York City travel expenses. Just like any other lodging, you’ll want to check traveler reviews before making reservations. Check out what’s TripAdvisor’s list of Cheap New York City Hostels. Some have rooms for under $100 a night. The Bowery House is a trendy hostel in the Nolita neighborhood of Manhattan with rooms available for around $140 a night. 10 Tips for Staying at a Hostel – some helpful tips from StudentUniverse. Are you ever too old to stay at a hostel? This Lonely Planet blogger says “no” and provides some advice on finding a hostel that best suits your needs.